“Supporting society and making a difference are the cornerstones of the work of the Captain Fanourakis Foundation,” according to George Hadjimarkos, Regional Governor of the Aegean. “The very important work that the Foundation carries out with great modesty, without seeking to promote or advertise it, leaves to us the rest of us with the obligation to give it the credit that is due.” said the Regional Governor of the South Aegean. At Caravia Beach Hotel in Marmari, Kos, the annual honorary event for the scholars of the Captain Fanourakis Foundation was held last Saturday. The event was honored with the presence of the representative of the Bishop of Kos-Nisyros, Mr. Nathanael, Father Basil, the South Aegean Regional Governor, Mr. George Hadjimarkos, the District Commissar Mr. G. Halkidios, the Imam of Kos, the President of the Municipal Council of A. Kritikos, the local authorities and regional councilors, the members of the Board of Directors (the former ministers K. Sfyriou and G. Valinakis and I. Kampanis and B. Eliades), members of the local press, as well as many parents and relatives of the scholars. On behalf of the Foundation, the Vice-President of the House of Representatives, MP of the Dodecanese, and the President of the Foundation Dimitris Kremastinos, spoke. In his speech he analyzed the context of the charitable offering of the CFF in Kos and Chalki, where the foundation has since the beginning of its operation awarded 68 scholarships totaling 610,000 €. 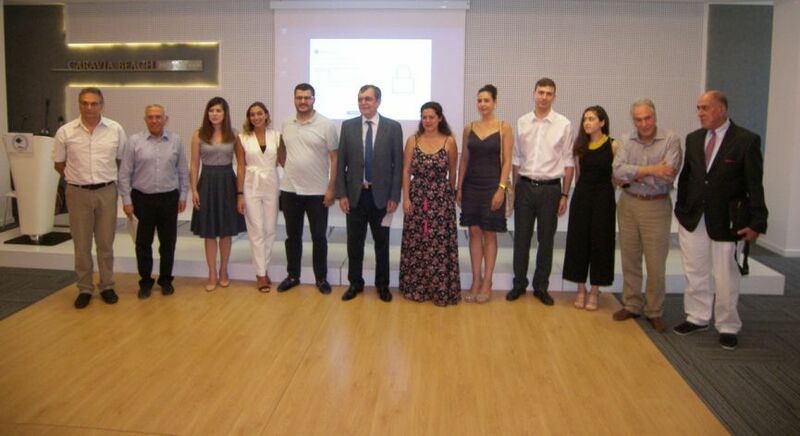 The Foundation’s effort to grant scholarships for undergraduate studies in Chalki (to graduates of the Chalki High School, Fanourakis Lyceum) was recently approved by a court order, and was announced by Mr. Kremastinos. In view of the completion in 2018, 5 years since the death of the founder Socrates Fanourakis, he stated that the Board of Directors will launch for 2018 the Social Responsibility Award “SOCRATES FANOURAKIS”, a Photographic Exhibition devoted to the life and works of the Diogenes and Socrates Fanourakis. It was with great pleasure that the Board of Directors of the CFF welcomed and honored at the ceremony it’s first doctorate scholar of the University of Strasbourg, Aikaterini Tsambi from Kos. She had the opportunity to present her dissertation on “The Principle of the Distinction of Powers in European Court of Human Rights (ECtHR) Law”. The scholars Alexandri Eleni, Irakleidou Sophia (from Halki), Billis Antonios, Perou Magdalini, Halkomni Kalliopi also spoke. Through a short video, the scholars Chatzipalis Antonios, Pantelis Anthoulas and Hondros Argyro presented their studies and their progress in their scientific fields. Everyone, as well as the authorities present, thanked the Foundation for its dedication and support of their efforts. Finally, the Foundation’s silent work in the field of caring for the elderly was highlighted in the event and as well as the modesty with which it is carried out. Over the last 4 years, 180,000€ have been spent on people in need of home care on the islands of Kos and Chalki. Every day, dozens of such people are treated by the Foundation’s nurses on both the islands.